Global Witness, a UK based NGO which campaigns for transparency in the global oil industry has revealed in its latest report how Emeka Offor’s owned Starcrest Nigeria Energy Limited acquired an oil license in the May 2006 oil licence bid round and sold a part of it a few months later for $35 million to Canadian Swiss firm Addax Petroleum. Interestingly Addax also paid for the signature bonus fee of $55 million. In essence, Starcrest pocketed $35 million with little or no investment. As Nigeria prepares another bid round this year, this story provides an insight into the behind the scene deals that goes on in Nigeria oil license bid rounds.. The report also shows how a company owned by Lee Maeba, who was at the time chairman of the House Committee on Petroleum Resources also got an oil licence in partnership with Conoil. The story as written in the Global witness report is reproduced below. The full report can be found here. Easiest $35 million ever made ? The Nigeria oil license bid round which took place in May 2006, known as the “mini-round”, raises questions about the role of indigenous companies and the transparency of bidding processes. This bid round was much smaller than its predecessor and the bidders were mostly companies from China, India and other foreign countries which had pledged investments in Nigeria’s infrastructure in return for being granted oil licences. One case that later attracted controversy in the media was the case of Starcrest Energy Limited. In 2006, it appears that a local subsidiary of Starcrest Energy Limited, Starcrest Nigeria Energy acquired oil block OPL 291 by swapping it with another block (OPL 294) that it had won during an earlier bidding process. Soon after, it entered into a Production Sharing Agreement in relation to OPL 291 and was paid US$35 million by a foreign investor while retaining a large minority stake in the licence. Questions over Starcrest’s acquisition of OPL 291 were first raised in October 2006 by the Financial Times, which noted that “Starcrest [is] a company … which industry sources say has strong political connections.” The situation led to three government investigations, two of which ultimately absolved Starcrest of any wrongdoing and one of which was discontinued. However, the facts presented below suggest a need for clarity as to how an obscure company, reported to have strong political connections, was able to win an oil licence after the initial bidding process and realise a substantial profit on it within a matter of months. One of the oil blocks on offer in the mini-round of May 2006 was OPL 291. According to a letter to the Nigerian EITI from the Ministry of Petroleum Resources (hereafter the MPR Letter), Starcrest took part in the auction on 19th May 2006 and bid for and won oil blocks 226 and 294 after paying the requisite fees and taking part in the public bidding process. An Indian consortium had a right of first refusal on OPL 291, but did not exercise it and their right of refusal duly lapsed.At a reconvened session at the MPR, Starcrest and another company, Transnational Corporation (Transcorp) appealed to be allowed to swap the blocks that they had won for OPL 291. Transcorp was given the initial opportunity by MPR officials to swap an oil block for OPL 291. Ultimately, Transcorp failed to pay the signature bonus and did not acquire the licence. After the bidding rounds, Transcorp became a subject of controversy due to media reports that former President Obasanjo himself owned shares in it. According to an Associated Press article from September 2006, Obasanjo confirmed that his private company owned 200 million shares in Transcorp. However, the trustees of the company reported that there was no conflict of interest because the President would have had no knowledge of the company’s shares in Transcorp or other investments because they were held in a blind trust. Global Witness wrote to Obasanjo and Transcorp and asked them to comment on these reports. We did not receive a response from either party. Once Transcorp did not acquire OPL 291, the relevant Nigerian oil and gas regulatory authorities gave permission to Starcrest to swap its previously obtained oil block OPL 294 for oil block OPL 291. Due to the withdrawal of its initial technical partner, Starcrest sought and obtained the approval of the MPR to partner with Addax Oil and Gas Limited, a Canadian Swiss Oil firm. Starcrest entered into a Production Sharing Agreement with Addax in respect of OPL 291. Addax paid the US$55 million signature bonus to the Nigerian Government. This may have been an accurate account of oil industry practices. 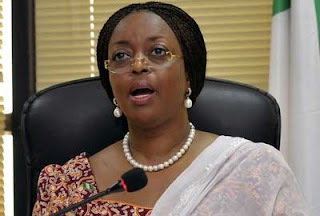 Nevertheless, from the MPR letter it appears likely that, with the full agreement of the Nigerian government, Starcrest did not obtain OPL 291 in the bidding round which took place on 19th May 2006 but through a series of negotiations and correspondence with the MPR and the Minister of State for Petroleum Resources. This process seems to have taken place over several months and involved Transcorp but does not appear to have involved the other companies that had taken part in the bidding round in May 2006. It also appears, based on a Global Witness survey of media reports between May 2006 and October 2007, that the award of OPL 291 to Starcrest and Addax only became public knowledge in October 2006, when Addax reported that it had farmed into the licence. Starcrest, however, denies this account. Following petitions from a competitor, three investigations into the circumstances of the allocation of OPL 291 were launched by the Inspector General of the Nigerian Police, the Ministry of Petroleum Resources and the Economic and Financial Crimes Commission (EFCC) respectively. After a petition from Starcrest to President Yar’Adua, the President asked the Minister of State for Energy (Petroleum) to provide him with a report on the matter. In March 2008, a letter from a staff officer of the Inspector-General of Police to Starcrest informed them of the outcome of the investigation carried out by the MPR, which had found that Starcrest and Addax had “validly acquired the partnership interest apportioned to them in the production sharing contract on OPL 291.” Consequently the Inspector-General of Police’s investigation was closed. We understand that the EFCC investigation was later discontinued. Legal representatives of Emeka Offor told Global Witness that all investigations, including by the EFCC had “absolved Starcrest of any wrongdoing” and given “Starcrest a clean bill of health.” In response to Global Witness’ questions regarding the relationship between Obasanjo and Offor, the representatives clarified that “President Obasanjo, though a good friend of our client, never influenced (nor did any Nigerian government official), the award of OPL291 to Starcrest.” They also stated that none of the fees paid to Starcrest Nigeria Energy were diverted to political recipients. None of the above facts amount to evidence of illegality in the obtaining of OPL 291. However, it has not been fully explained why the government, which was committed to a policy of transparency and open bidding, authorised particular companies to swap the licences in negotiations that lasted several months after the date of the bidding itself. It is also hard to see what services Starcrest Nigeria Energy could have performed to justify making sucha large profit on OPL 291 in a matter of months. If the licence was worth an extra US$35 million in farm-in fees, this begs the question as to why the government did not give this licence a higher value estimate in the first place. Starcrest responded to our questions about the value they added by stating that they “made significant investment in exploring or developing the licence” and that it is “most unreasonable” to suspect that they had no intention of developing the licence in their own right.